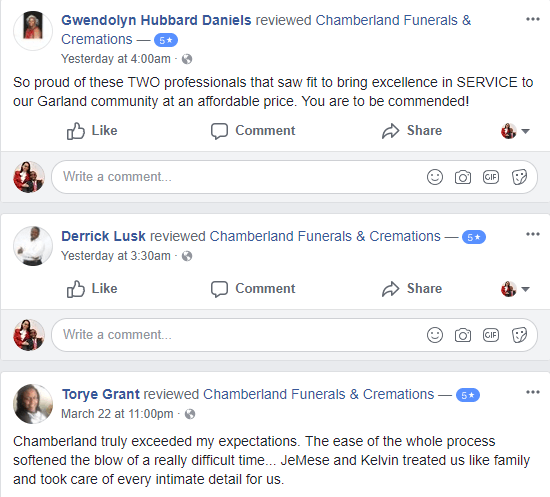 Chamberland Funerals & Cremations, located in Garland, TX, is here to guide you before, upon, and after the transition of your loved one. We extend ourselves wholeheartedly to helping ensure your peace of mind during such a time. 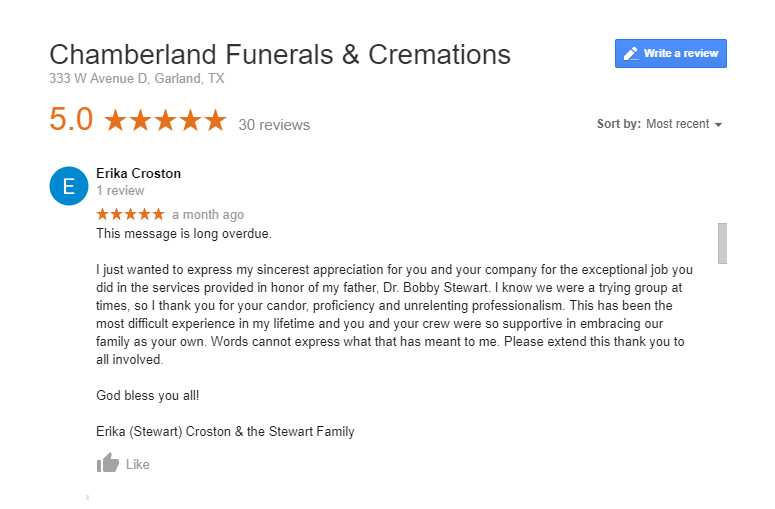 Offering comprehensive burial and cremation services when death occurs, we are also pleased to be a resource for families before death occurs. Through group seminars and one-on-one consultations, we enlighten families. Our team is esteemed to serve personally with excellence and transparency so that your experience with us is memorable for you and honorable for your loved one - all within reasonable expectations to ensure dignity. Your Experience is Our Signature! We hope this site offers you comfort and confirmation that Chamberland is who you need to rely on as you journey through your loved one's transition. 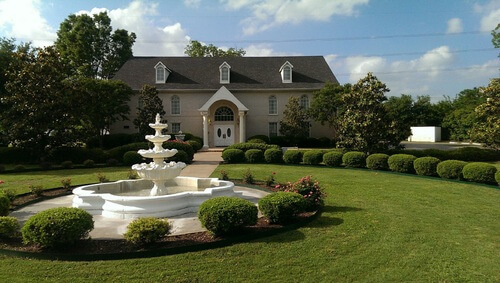 If we can be of further assistance, do not hesitate to call us directly at 972-276-0333. Thank you for visiting Chamberland. 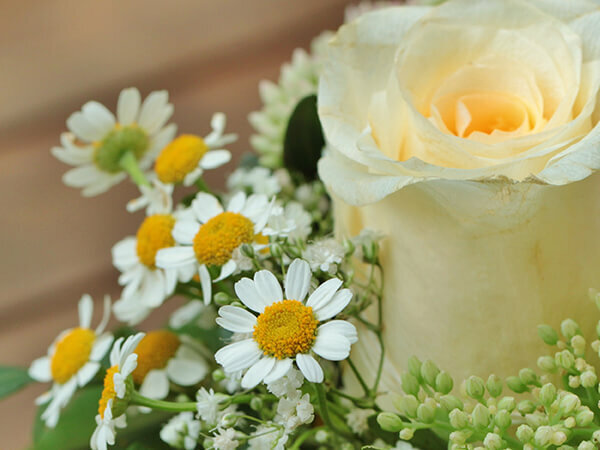 WE HONOR PRE-ARRANGEMENTS WRITTEN WITH OTHER FUNERAL HOMES. REVIEWS MATTER and REVIEWS PROVE! Reviews of our service and character may be referenced on Google, Yelp, and our Facebook page by clicking here.